Freight Delivery: $13.97 - for 1st unit. Due to the size, shape and/or weight, this item will ship via a common carrier or freight service, incurring freight delivery fee. Please allow 3-10 business days for freight deliveries. *Each additional unit is charged a percentage increase to the original freight delivery fee, not the full amount. 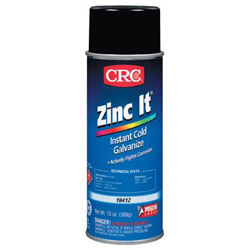 Corrosion Inhibitors from CRC! 2772 In Stock today.